Something is definitely not right. The world feels a bit off kilter. Positively askew, even. What the…wait, I remember. It’s that little spare tire on the front passenger side. I’ve been meaning to get that fixed. But why do I feel the same way even when I get out of the car? I sometimes think the whole world must be ridin’ on a spare. My boss, who played bass in the legendary Wisconsin band Punch back in the 70’s, told me that ukulele and accordion were not acceptable instruments for playing the blues. I sent him to this video, but it did not seem to win him over. I figure that if Louis Armstrong could record the magnificent Wild Man Blues with a tuba and a banjo, I’m in great company. 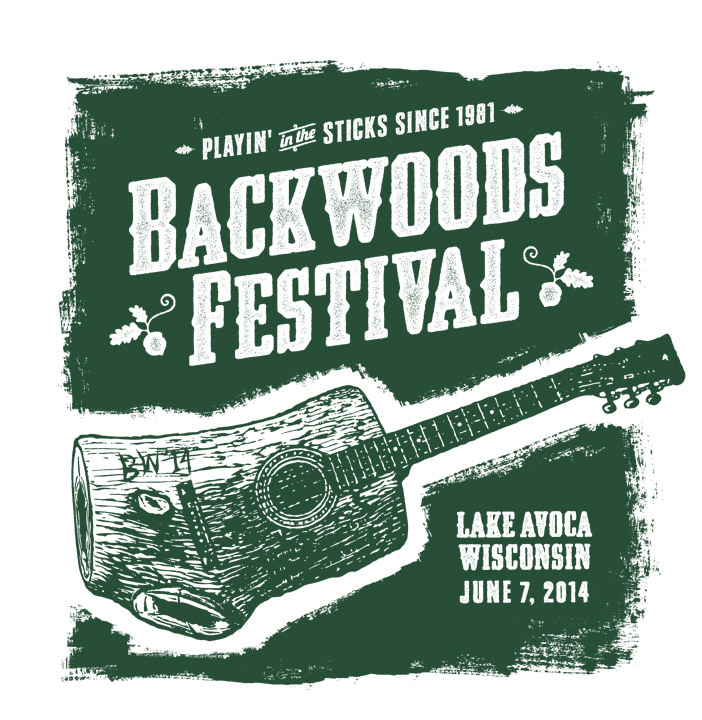 You can read and watch more about this year’s Backwoods performance in my last Backwoods post. It was more fun than a tuba full of rain. As I mentioned a few weeks ago, Backwoods Fest 2016 was a beautiful thing. Not only did I get to rock with some of my heroes, our set was captured on video. With only one rehearsal, we didn’t have a chance to polish our arrangements, but our first song, “High on a Dime,” worked out particularly well. Chris and Mary’s solos literally give me chills. Reid’s tuba playing was likewise spot on. I think he even gets to take a solo on another song that I’ll be posting soon. As I was playing a solo set earlier in the evening, I realized that every song I was singing mentioned rain. That’s not really a surprise, since rain has kind of been a theme with me for many years – but in this set, even the covers I played were full of rain! Of course, it did start to rain shortly afterwards, but I refuse to take all of the blame. 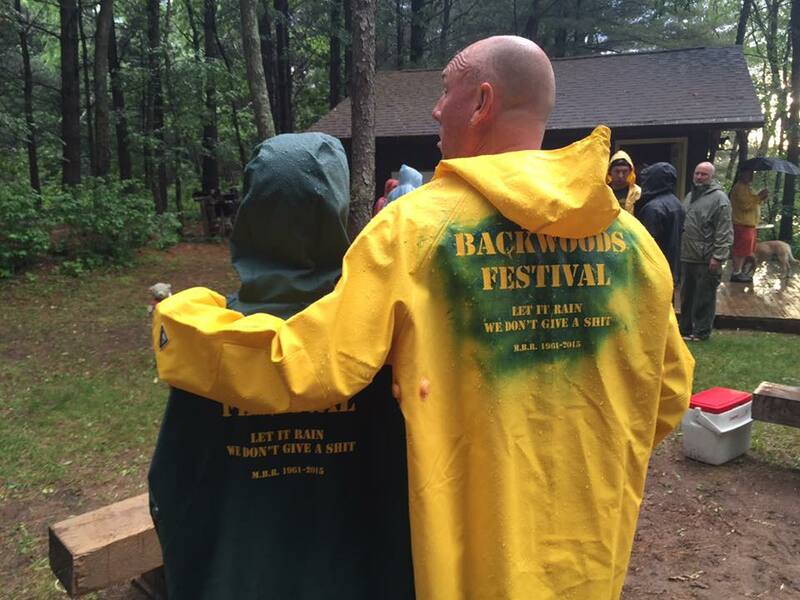 It usually rains at Backwoods. Thankfully, the weather cleared by the time our band played, so I was able to set up a video camera and record this music. And thank you so much for watching and listening. 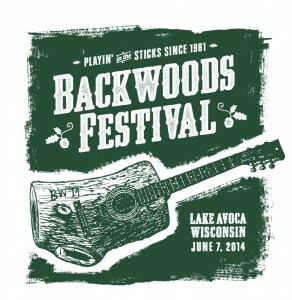 It’s hard to believe that it’s been 2 years since I last played at Backwoods Fest. 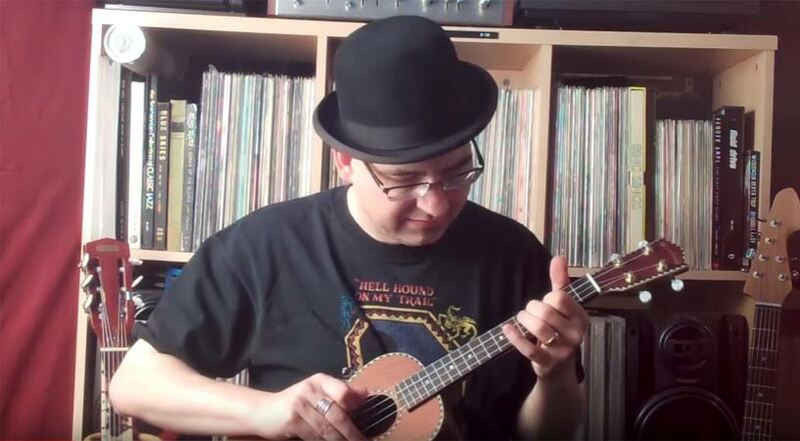 In 2014, I was thrilled to have Chris Wagoner and Mary Gaines noodle along behind me during my ukulele set. As exciting as that serendipitous rendezvous was for me, this year’s set was over the top. 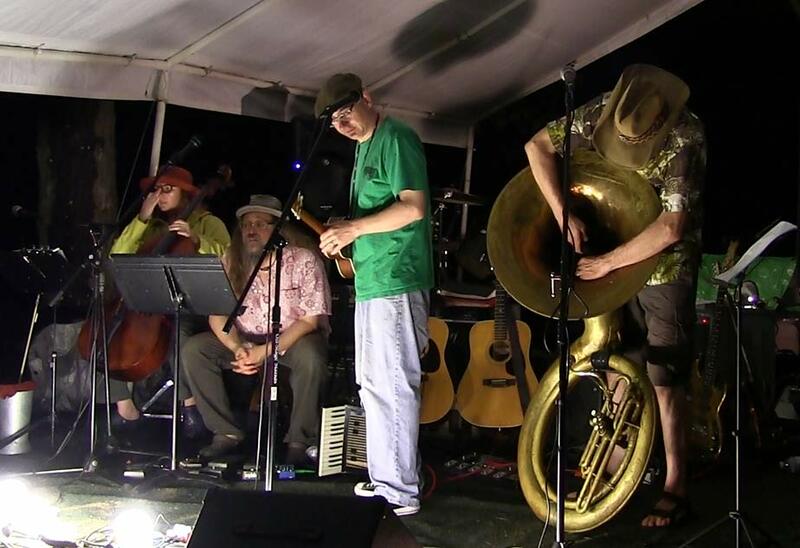 Not only did Chris and Mary play with me on every song, I was also blessed with the talents of Reid Johnston on tuba! 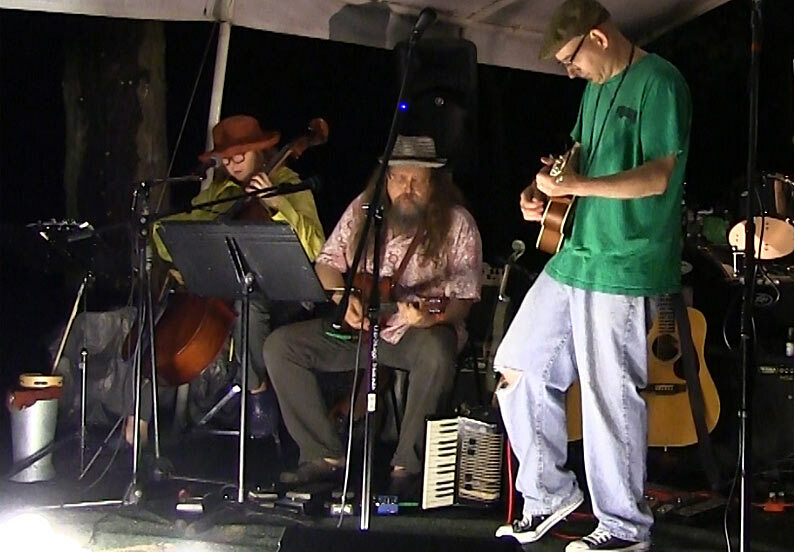 We also played a set of Reid’s songs, with me on bass. 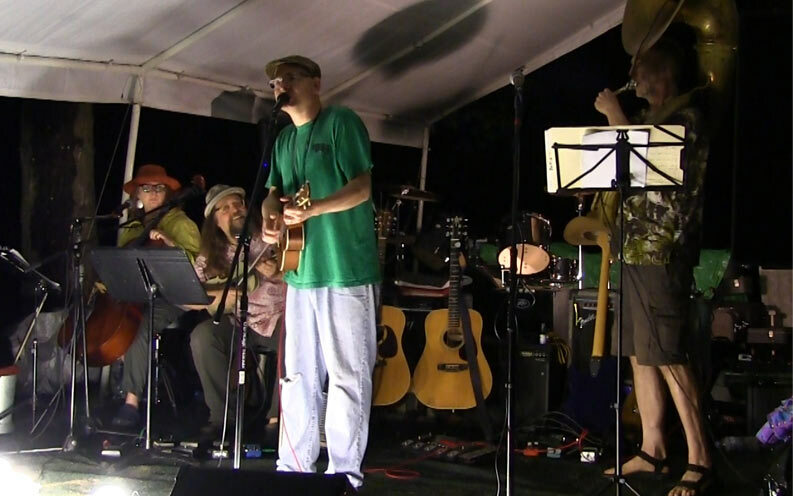 If my bass playing was unspectacular, I don’t think anyone noticed, as Reid regaled the campers with musical tales of drunken zoo animals, diaper changes, and smart-phone-induced hemorrhoids. Thankfully, we were able to have a rehearsal the week before and get somewhat familiar with the songs. My own performance was not highly polished, but (as you’ll see in some upcoming videos) my bandmates more than made up for my awkwardness. Speaking of videos, I posted one from our set Facebook. It’s a Tom Waits cover, so Take a peek, before it get’s taken down for copyright violation or some such. I would sincerely like to continue playing shows with this remarkable crew, and we will reconvene in July to plot a course for the future. Notes: Brad will be accompanied by Reid Johnston on tuba, Mary Gaines on cello, and Chris Wagoner on everything else. This is a semi-private event. Contact Brad if you’re in the area and would like to attend! 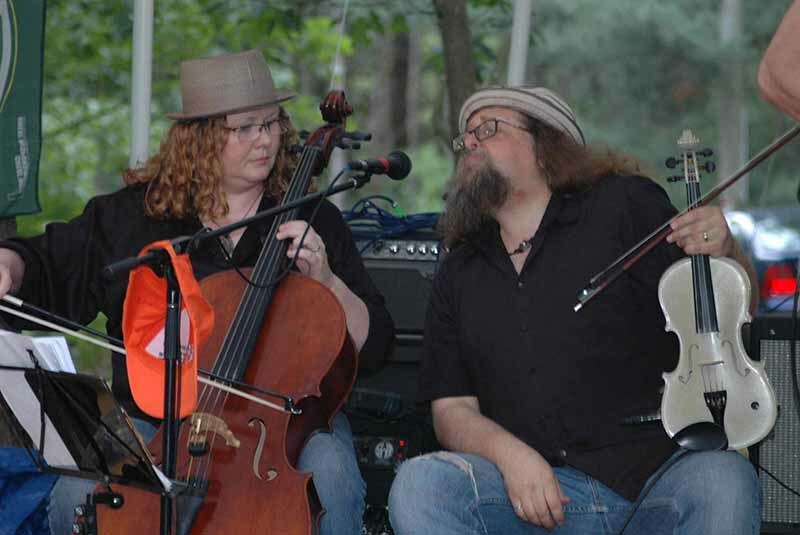 I’ve been a fan of Chris Wagoner and Mary Gaines for ages, starting from the first time I saw Chris singing and fiddling for Harmonious Wail over 20 years ago. In the intervening years, they’ve played with Common Faces, Moon Gypsies, and amassed a long, impressive list of sessions with local, national, and international artists. So when I saw them play at Backwoods Fest with the Ray Johnson Band a few years ago, I started fantasizing about them playing with me. As I sat in my living room writing out a ukulele set list for this year’s Backwoods Fest, I again dreamed about having Chris and Mary accompany me. There were a few songs on my list that I’d heard them play before – jive stuff by Louis Jordan and Nat King Cole that they could probably play while getting a root canal. Would my heroes be there? Would they play? Yes, I’m aware that a logical person would simply call them up and ask, but I have this maddening habit of wishing things would work out the way I want them to – without actually doing anything to help them along. What a dope. But I was also aware of the informal nature of Backwoods – anyone on stage may find themselves being accompanied (for better or worse) by other musicians. This year, I arrived on Saturday afternoon, pleased that it hadn’t started raining yet (rain is one of the most consistent of Backwoods attendees). 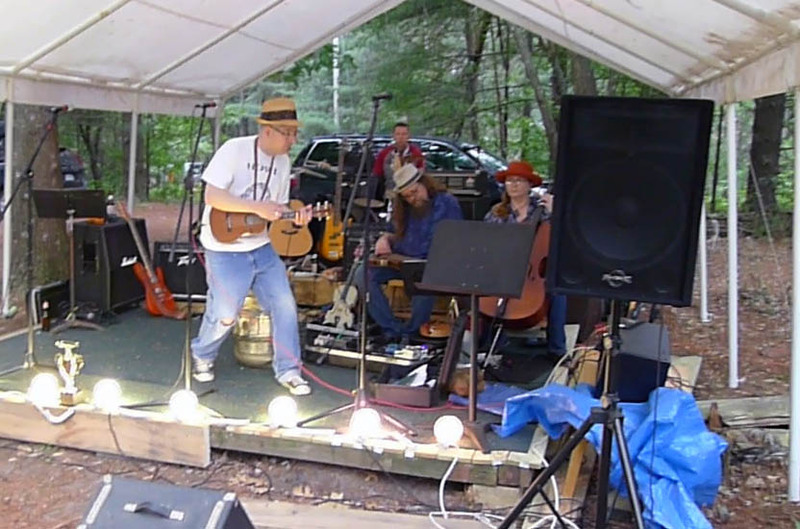 After applying the bug spray and hugging several of old friends, I picked up my guitar and ukulele and made my way to the stage to find out who would be playing next. Almost exactly as I had imagined it, Chris and Mary appeared and began unpacking their instruments just as I took the stage. Would they get set up before I was finished with my set? More importantly, would they play? It was Mary’s cello that I heard first, laying down a bass line for Straighten Up and Fly Right. I was over the moon. After the second verse, I turned and gave her a nod, stepping away from the mic as she took a solo. I was giddy. After another song or two with Mary, Chris had finished plugging in his pedals and tuning his various instruments. Finishing out the set with both of them playing behind me on songs by Stevie Wonder, Hank Williams, and Mikey Dread was an experience I will never forget. Thankfully, my friend Reid Johnston (leader of the fabulous Ray Johnson Band) shot a few minutes of my set on his phone. You can hear Mary join in towards the end. When Chris and Mary went to get some food, I switched to guitar and played another set. I was still giddy. I had just played with the best. Notes: Backwoods is a semi-private event. Please let me know if you are in the area and would like to attend!